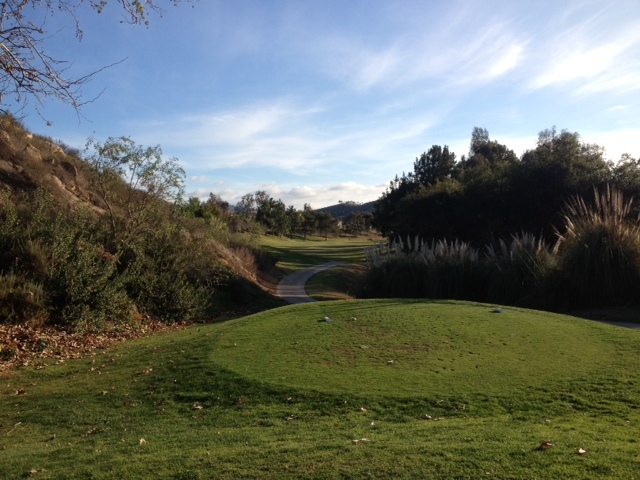 If you’ve played Eagle Crest Golf Club in Escondido in the past but haven’t been in a while, you’ll notice some changes when you return. Since coming under new management late last year, Eagle Crest has embarked on some course-improvement projects, mostly involving reworking tee boxes and bunkers. To date, the most significant change you’ll notice is around the green on the par-5 12th. What used to be a sizable and steep sand trap on the left has been converted into a water hazard, returning the hole to its original design. From a playing perspective, it raises the risk when thinking about going for this green in two on a hole that plays to 529 yards from the blues and 514 from the whites. Granted to do that, you’ll have to get off the tee box in decent shape first, which is a stumbling block for many. From the blues, the tee shot looks narrower than it actually is. That said, your best bet is to favor the left side as the right side of this fairway is tree-lined and mounded. You’ll either likely have an uneven lie or be hitting a knockdown if you end up there. The second advantage of the left side is that it’s bowled a bit to keep errant tee shots in. I used that to my advantage on Sunday and was sitting about 260 out. That’s not ideal “go” range here especially when hazards lurk left (water) and right (traps) and there’s plenty of room to lay up short to a green with a very narrow opening. 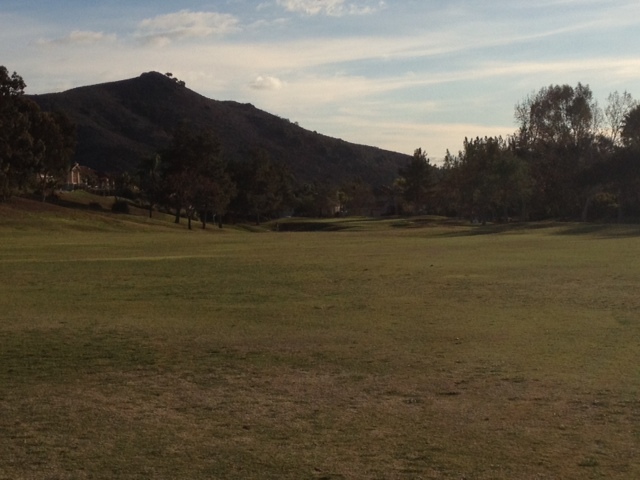 I hit a rescue to within about 90 yards and then had no trouble hitting wedge to the back of the green and making par. This hole comes in the middle of a very score-able stretch of the golf course, being preceded by a short elevated par-3 and being followed by a short par-4. When deciding how much you want to push it on No. 12, you’ve got something new to consider that’s more penal than before. I’m guessing the course’s flock of wood ducks will like the hole’s new design more than you will if you miss left. 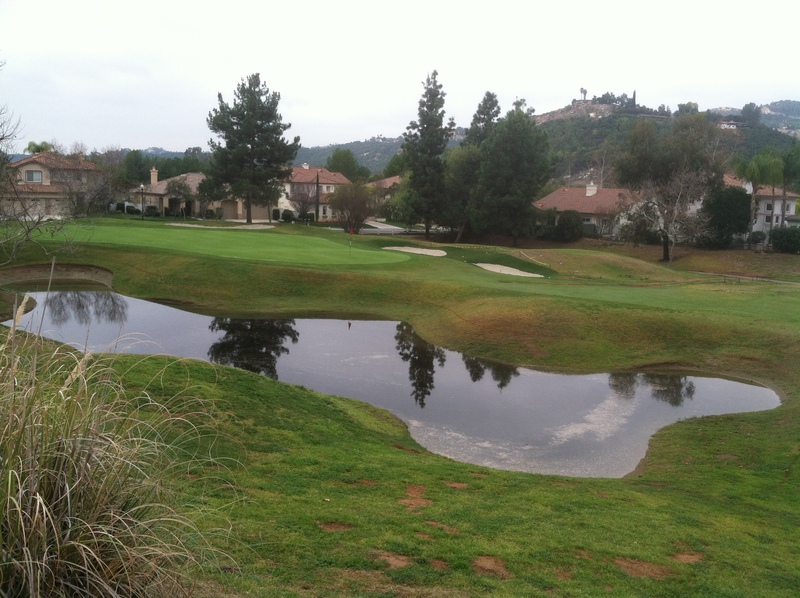 This entry was tagged Eagle Crest Golf Club, escondido, Mark Hayden, water hazard. Bookmark the permalink. Thanks for the feedback & support. I’m trying to fill a need & having fun doing it. Plz spread the word. Thanks for your interest in the blog. It’s WordPress – Booklite. I didnt know I was listed on Yahoo News, so I can’t be much help, but I appreciate you letting me know. I’m flattered, obviously, by the compliment, but also gratified that someone finds the blog as useful as I hoped golfers would. And it gives me hope golfers want to have these kinds of conversations in these forums. I think, other than playing, conversations about the game are one of the best parts of it and it’s those conservations that strengthen the bonds amongst those of us that truly love the game. Thank you for the comment and for reading.